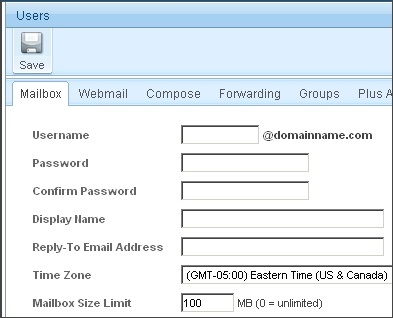 Hostmysite.com :: How do I create a new email account with the SmarterMail interface? How do I create a new email account with the SmarterMail interface? 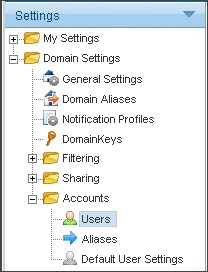 The following article explains how to create a new email account through the SmarterMail interface. New accounts may be created only by the root user. Once the account is created, users can begin sending and receiving email. Expand Accounts and click Users. Password: enter the password for this user. Confirm Password: re-enter the password for this user for verification. The remaining information on the Users screen is not required and can be entered at your leisure. For detailed information about each feature, you can view the SmarterMail support documentation by clicking on the Help menu in the upper right corner of the SmarterMail Interface. You can access the new email account by logging in the same way you did as root except you will use the new email address, user@domainname.com.